The EVision, an electric sedan concept unveiled at the ongoing Geneva International Motor show by Tata Motors, is a reflection of a mind-space obsessed with automobile design. With its neat flowing simplistic design, flat floor sans the transmission tunnel or the central console, the concept turned out to be a show-stopper at the event. The EVision gave a peek into what the future of automobile design holds, as designers strive to marry form with function, with an eye on disruptive trends that will manifest in the connected, autonomous, electric and hybrid spaces over the next decade and a half. An automobile design has traditionally been a potent medium for a carmaker to grab the buyer’s mind-share, evoke emotions and create brand differentiation. However, its importance has gone several notches up over the last few years under the influence of social media, a digitally connected world, a crowding auto market and growing buyer aspiration. Agrees Pratap Bose, head of design at Tata Motors, who, along with a 180-people-strong team spread across Turin, Coventry and Pune, is leading a design renaissance at the firm. “You have to gain mindshare first, only then can you gain market share,” said Bose. Pawan Goenka, managing director, Mahindra and Mahindra seconded. “The first moment of truth is design. When you look at the car, if design does not compel you to come closer to the car, you have lost the battle for second moment of truth,” said Goenka, pointing out that even a Rs 400,000 car will not be bought simply because “it is cheap” -- it has to be appealing. “The car is a statement of your personality,” Goenka added. Maruti Suzuki, which has successfully decoded the small-car buyer’s psyche, can rightfully claim to understand this the best. Even as it has grown from strength to strength, it isn't losing sight of fast-changing buying behaviour. At the Auto Expo in Delhi last month, Maruti showcased the Concept Future S, the compact vehicle with an SUV stance that Maruti claimed has the potential to re-define the design of next generation compact vehicles in India. The importance of design as a selection criterion is significant, said Y K Koo, managing director and chief executive officer at Hyundai Motor India. In its customer surveys, Hyundai found that design is the main consideration in the selection of a car, he said. “More than 50 per cent weight is given to design. A buyer looks at the price, features, mileage and technology only after he likes the design. Design creates the first impression on the buyer’s mind and it is most critical,” he said. But no one can vouch for this better than Bose. After being out of the reckoning for majority of individual car buyers for several years, the Tata group flagship is hitching a ride back into India's competitive passenger vehicle market largely on back of a differentiated design language. Tata Motors sales in the passenger vehicle market have been advancing steadily. They grew 20 per cent to 187,230 units in the eleven months to February over a year ago. The company's market share during the period also rose to 6.27 per cent from 5.62 per cent last year. Emboldened, the maker of Nexon and Tiago has crafted a completely new design language that will underpin its future design strategy. The EVision electric sedan showcased in Geneva was the epilogue to the narrative on the future of company’s passenger vehicle business that started in New Delhi Auto expo last month where Tata Motors took wraps off two new concepts – H5X and 45X based on the OMEGA Arc and ALFA Arc platforms respectively, that will form the basis of all the new SUVs and hatchbacks the company launches in the forthcoming years. “For these two new platforms we had the opportunity to define the size view, proportion—this is quite something unique for a designer’s career,” said Bose. The opportunity to think ground-up allowed the team to have a futuristic approach and think through the disruptive trends including electric vehicles and incorporate it in the design that can take Tata Motors to the future. The first design wave which defined the Tiago and Hexa was like a foundation and was critical in getting buyers, most of whom had written off Tata Motors, back into the showroom. “It sent out a message that Tata Motors exists,” said Bose. When the team got on to developing the next generation platform with new powertrain, it also needed a design language to say that everything is new. “It’s about the future, these are our next generation of platforms for the next 10 to 15 years, we needed the design language to be sharper, fresher, just a lot bolder, impactful. With level one we have created certain expectations, we can’t stay there, you have to take it to the next level,” he said. “A very clear design form is emerging at the firm. 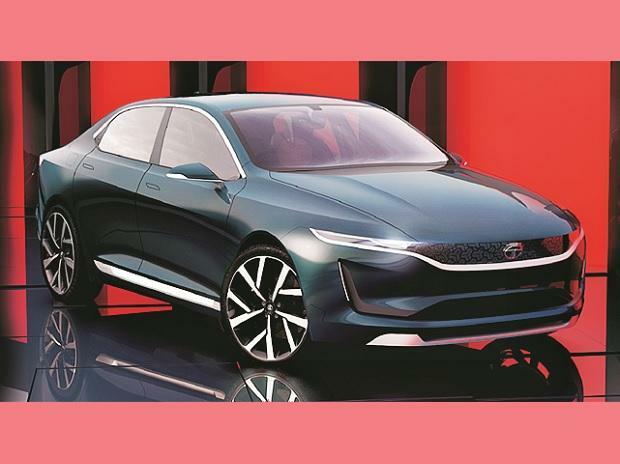 It was also there earlier, but this is a more global design form for Tata Motors,” said Avik Chattopadhyay, co-founder at Gurugram-based brand consulting firm. Indian consumers when buying a particular brand is also buying into a personality, he said. With each of its models looking distinct from the other, Tata Motors has managed that aspect well, he said referring to Hexa, Tiago and Tiagor.